With summer behind us, we are beginning to move into many months of that weather the Pacific Northwest is famous for. Many riders have already begun winterizing their bikes because it’s going to be cold and wet, not exactly ideal riding conditions. Those of us that don’t want to let winter weather keep us from riding are breaking out the gear that has been stored away all summer. Waterproof shells, warm base layers, heated gear, and more. If you own any waterproof riding gear, there’s a likely chance that it is a GORE-TEX product. 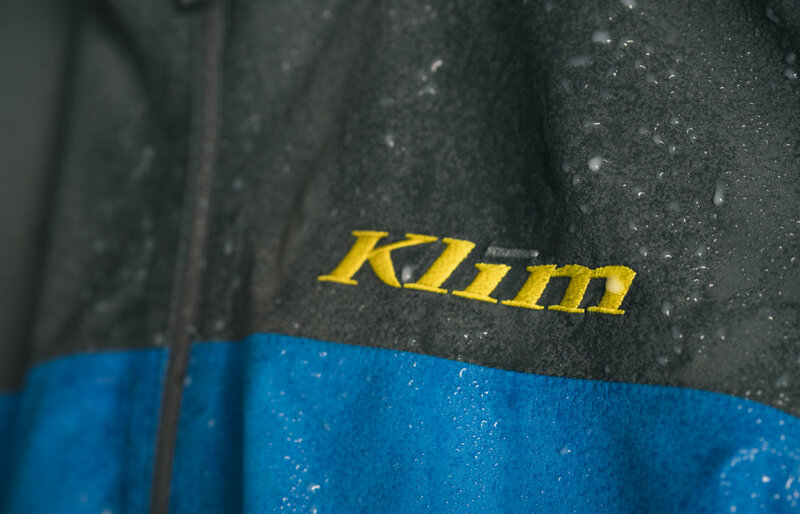 KLiM’s line of waterproof apparel is made with GORE-TEX. This extremely waterproof, durable, and breathable material is what keeps you comfortable in inclement weather. However, it does require some simple maintenance to keep it working properly. What’s the secret to keeping GORE-TEX products waterproof? According to the GORE-TEX website, keeping it clean is the trick! You’ll want to be careful with detergents when washing your apparel. Some soaps can ruin the material’s waterproof integrity. We chose to use Revivex Pro Cleaner to clean all of our gear, since it is specifically created for durable waterproof repellent materials (DWR). Make sure to follow the manufactuer’s instructions on your apparel tag. Over time, the DWR will need to be refreshed. Tumbling the material in a dryer on warm for a bit will help reactivate the treatment, but after a while it will need to be re-applied. Using a spray like TX.Direct is an easy way to do it, but you can also find a variety made for washing in the treatment. This can be done directly after cleaning. If you have developed any holes or tears, you can patch them up using Tenacious Tape. Give your gear a confidence test and get it wet. If it’s beading nicely and not soaking in, you are set to ride all winter! Stay dry and keep exploring.